Las Vegas is home to DRIVEN, a new neurological recovery center. The rehabilitation facility, loosely modeled after Ability360’s Sports & Fitness Center, is tailored to physical, mental and spiritual health improvement and helps people regain their independence. Founder, Sam Schmidt, who was injured in an IndyCar crash, is passionate about the recovery center and providing others the tools they need in their own recovery. “My accident … was obviously the turning point of all of this,” Schmidt said in an email. “But it was a series of micro and macro moments of the medical and logistics process thereafter that made me realize how badly [a facility like] DRIVEN was needed. Doors officially opened December of 2018, but the DRIVEN team had been preparing for the grand opening long before. Cesar Robledo has been with the team since the very beginning. 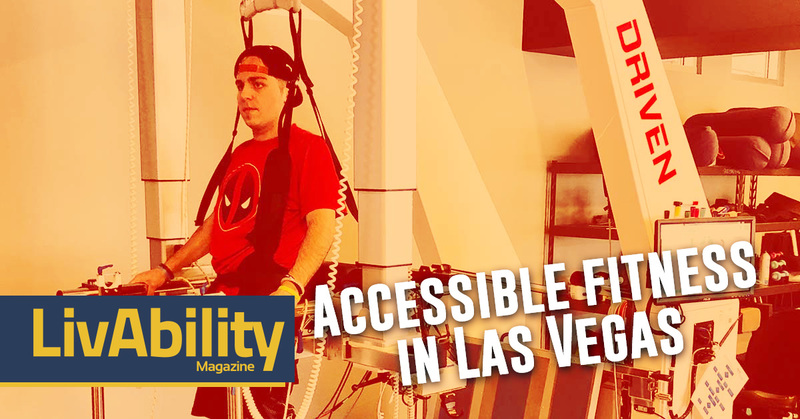 Robledo, who uses a wheelchair following a gunshot wound that left him with a spinal cord injury, has been coming to DRIVEN since its inception, utilizing the experienced professionals and wheelchair-compatible state-of-the-art equipment. 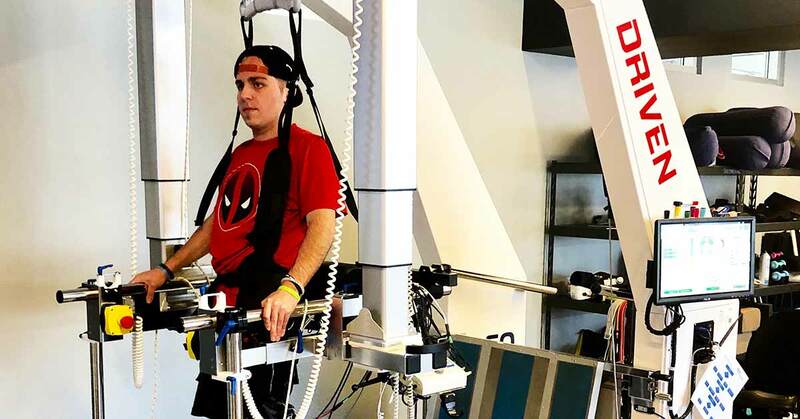 Robledo is proof of DRIVEN’s successful model, having taken integral steps using the facility’s G-EO System–a powered gait rehabilitation exoskeleton with a fixed frame–in his recovery, that allowed him to take his first steps since his 2014 injury. While Robledo was determined in his recovery, DRIVEN has nurtured that determination by providing a safe and knowledgeable environment. “We serve those that insurance won’t, and/or need more attention than what therapy centers are able to offer. We have very few limitations on who we serve. Our facility and trainers are equipped to work with those at nearly all levels of spinal cord injury and other disabilities,” Schmidt said. Physical therapy is a major factor in regaining mobility; however, so much more contributes to it. Downtown Yoga & Wellness Co-op is one of a handful of other companies within DRIVEN that provides counseling, Reiki healing services and even wheelchair yoga, making DRIVEN a full-service recovery facility. The future of DRIVEN is promising, as Schmidt plans to expand in order to keep up with the high-demand of the services offered. If you are driven to succeed, the DRIVEN team wants to help you achieve your goals. 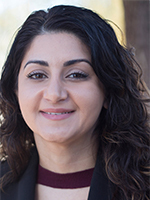 Arlette Yousif is an honor student at the University of Nevada, Las Vegas. She will be graduating in May of 2019 with a bachelor’s degree in journalism and a minor in film. In addition to her writing and broadcast skills, Arlette is also experienced in the music industry and works comfortably with high-profile entertainers. Read more by Arlette Yousif.